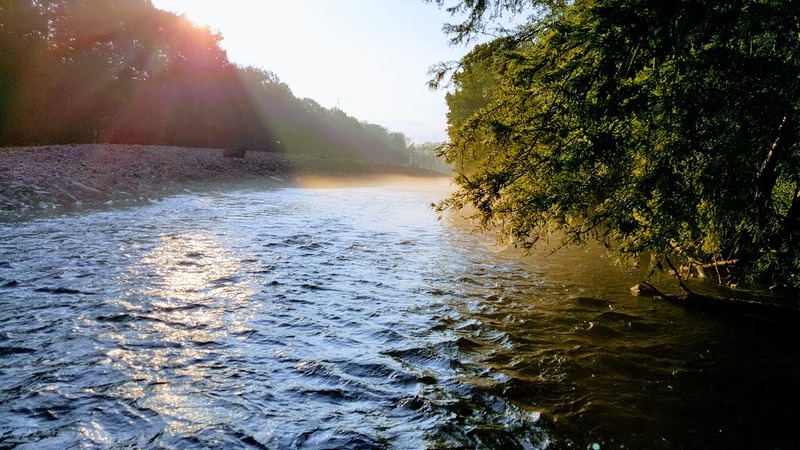 I’ve had a good talk with several veteran tenkara anglers and here are some of my thoughts on the current state of the tenkaraverse. I think we all really need to stick together and realize that even though the sport has grown, we’re still a niche within a niche, within a niche. We should all be supporting each other rather than fighting each other. After all, this is our reverie–the sport that transport us from the drudgery of everyday life. Why ruin it with ego, slander and hate. Isn’t that what we’re trying to get a break from on the water? 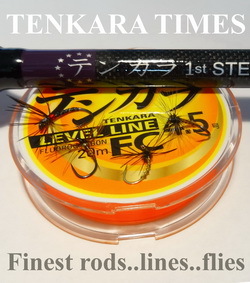 But then you have new and exciting “mainstream” products as an outgrowth of the “original” Tenkara fishing in the USA. As an example the Sowbug Roundup has a Tenkara mention on the page. Instead of 1 or 2 choices we have a dozen or more for the same price or more/less. Home run. You nailed it. great video. Thanks for voicing the thoughts of many. I actually thought this infighting stuff had cooled down a bit. Hadn’t seen it too much recently (other than in the whole release of the Karasu – man that was a sh*t show), at least at a manufacturer level. 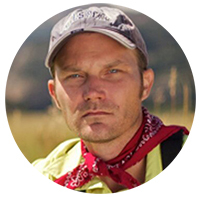 Has been awesome to see multi-brand events like the Tenkara Jam (probably the best example), heck even Tenkara USA will have Matt Sment & Yvon Chouinard at the Summit as speakers this year. But then again, I try not to poke behind the scenes too much and while I’m friendly with most, I’m not an “industry insider” by any means. I guess this stuff is unavoidable, too many special interests, large egos, “expertise,” and social media platforms in which to amplify the vocal minority. I’ve seen through the Tenkara Angler project that the large majority of us just like to fish and don’t care what, where, and how. But there’s always a few that know how to strike a nerve and are excellent at poking the cobra. Suppose the key to combating it is to ignore it. If “we” choose not to respond to those incendiary Facebook posts, etc… they’ll never spiral out of control into 50+ comment runaway trains. Very good video Jason! Life is way too short to worry about what rod you fish, what line you like or what flies or bait you use. My last two outings I fished from my kayak I used my fly rod half the time and my Tenkara rod the other. I caught twice as many fish on my Tenkara rod as that with my fly rod. I enjoy both. I believe all of the gurus in our community support each other in the effort to educate us on methods, techniques and styles of Tenkara fishing. You are right on; enjoy Tenkara while you can and support each other!! Thanks Jason. I am with you all the way. Jason, I’m glad you addressed this. I think it needs to start with some of the vendors. In May, I attended the Midwest Tenkara Fest. One of the vendors got up and some of the first words out of his mouth was that zoom rods were not necessary. He doesn’t build them, yet there were three others who sold zoom rods. I thought to myself, why even throw that out? But, I did make a mental note that in the future, if I need or want a new rod, it won’t be from him. Tenkara is still a new sport in this country and there are some very knowledgeable folks from which to glean information. And from where I sit, there are no experts and certainly, no masters. I doubt if people outside of the tenkaraverse will take notice of the petty in fighting. But those of us within do. I agree 100%. Thanks for sharing, Jason. Very well said. As an unconventional Tenkara Angler I have acquired a lot of different manufacturers products. I couldn’t tell you one line/fly from another. The rods only by who manufactures them, not which one It is. I love them all! From my 15 dollar rod to whatever. Many are second hand gifted or won, so I have no idea on the cost. 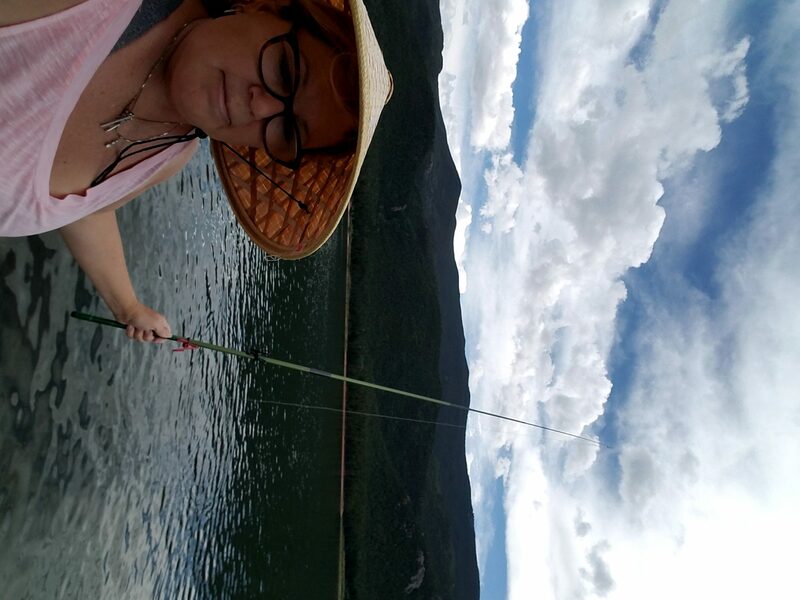 I can tell you I love to fish TENKARA. The tenkara “civil war” is probably more akin to a domestic dispute, but it’s wasted energy nonetheless. I haven’t noticed much vitriol in the tenkaraverse sites and discussion forums – at least not the ones in my feed. Most of the bickering and conflicting views seem to be between tenkara traditionalists/purists and proponents of the more Americanized version of tenkara/fixed line fishing. I chalk it up to growing pains of an emerging fly fishing niche. The more anglers who pick it up, the more who will have differing opinions about the best rods, lines, techniques, etc., and will express those opinions. But you’re right Jason, there’s no reason for the drama, it’s just fishing. Jeremy, you’re probably right, it’s more like a “domestic dispute”. But I like to use hyperbole. 🙂 I just thought after 8 years, the community would have gotten over the “growing pains”. Worthy points Jason. 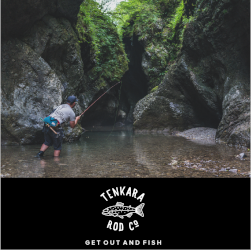 The criticism of others over; gear used, technique used, places fished, time devoted to the other different facets of tenkara people pursue, or prices paid for gear is totally unproductive and unbecoming to the people in the tenkaraverse as you call it. The world is full of enough madness at the moment. I can barely stand to watch the news. Whatever tenkara activity brings you enjoyment should be a time of respite from the constant bitching, and the constant pursuit to be unhappy, going on in the rest of the world. 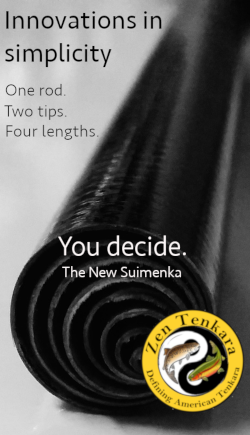 Enjoy tenkara the way it pleases you the most; whether it’s just fishing alone, time spent learning new fishing strategies from others’ insights, studying tenkara history & culture, or pondering where it’s going in the future. Whatever tenkara activity you find fun should be a place of rest from the stressful things going on in the world. Not more of it. If you think low priced gear is low quality – don’t buy it. Let the guy who did be satisfied with his purchase. If you think the quality of gear not worth the high price. Don’t buy it. But also don’t disparage the guy who did find the price worth it. If you think someone’s fishing technique is crap, and not tenkara. Don’t say so. It’s better to just say, Interesting setup and method, but I do it this way – you might want to try it, see if it works better for you, and if you might like it better. And leave it at that. Great Note and reminder. 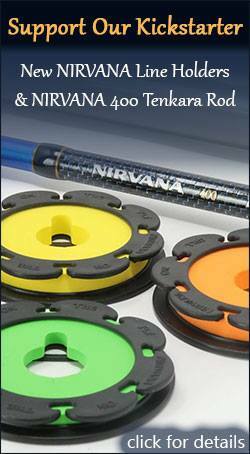 I can only expect that this journey of tenkara as sport will only get more and more complicated. I see this as a normal progression. It stinks to have something that seemed so impervious to complication….become fragmented and complicated. I am not sure if there is a fix for this. In terms of internal conflict of the community. Some people always find the need for conflict, and conflict seems to be the name of the times. Some of this is spill over from other aspects of life. Aspects of Fishing are personal religion and not everyone is going to agree…and some feel a need to fight about it. The few (non-tenkara) social media groups I am a member in are all tainted with similar conflicts and disagreements. Somehow social media harbors bad behavior. It probably would be a wonderful sociology thesis. The conflict going on with tenkara is not isolated, and probably not curable. I dig your site. Thank you for providing it to us. Your site and a few other are harbors from the BS…..keep up the good work. I guess I’ve been too busy fishing to really pay attention to all this conflict! Life is too short and time is too precious to waste our energy on worrying about what others think about how you choose to tenkara. What matters is how you choose to enjoy it on your own terms, and how you share your passion with others. Good on you for posting this. Returning to fly fishing after a 15 year dry spell and I have a new perspective on fishing. 15 years ago the interwebs were nothing like they are today. Back then I was gathering info from the fly shop and other seasoned fly anglers. Not to say that the info was wrong but I always felt like I had to do the right thing. This time around I have been sucking up my info on line in a somewhat alacarte method. Find something from one style / method, add it to another, see if it works, see if its fun…. All without fear of upsetting the gurus. After all, most of us are doing this for fun. For the sport to grow it needs to not have roadblocks. I am considering trying tenkara. Is tenkara appropriate for slightly larger streams like 40 or 50′ wide and targeting trout up to 20″? Wow! I guess I hadn’t even realized there was some in fighting going on. But you did a good job and I agree. My first bike cost $99 and I love it still. My last bike cost $5000 and it is worth every penney. My first Tenkara kit cost me $120 and I fell in love with the sport. 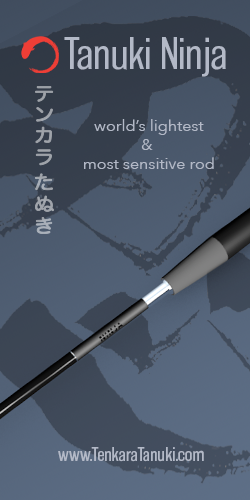 My last rod cost $550 and is worth every penny. My first bike is long gone and I don’t fish my first Tenkara rod anymore. But I do lend it to my friends. I am grateful to be able to share Tenkara with my fishing buddies. Last weekend I outfished my buddy who also happened to be a fish wrangler for the movie “A River Runs Through It” . He was fishing traditional western fly fishing, I was using Tenkara. We both had a blast and I am lending him my Iwana for the rest of the summer. I’ll fish my Tenryu, Daiwa and Nissin. (Yeah, I admit it , I am hooked). I am grateful that I have the resources to evolve my Tenkara and biking obsessions but If I couldn’t, I would still bike and fish. I would call this Tenkara fuss a classic first world problem.